It all started in 2003 when BYU Ad Faculty Doug McKinley and Jeff Sheets were eating cheese and dreaming in their office. 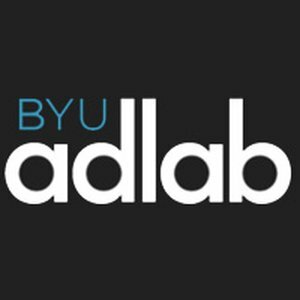 They thought, “If we want to produce the best ad graduates in the nation, we have to provide the best educational experience in the nation.” So together with the BYU advertising faculty they created the AdLab, a student run, professionally mentored ad agency. They gave real briefs to students, bridging the gap between student and professional work. The first clients to collaborate with the AdLab were the Ad Council, Holiday-Inn, Burger King, and Nike. The students didn’t reach the industry bar. They surpassed it. Now under the direction of Pat Doyle, the AdLab is comprised of over 150 students and ranks as one of the top undergraduate ad programs in the nation.